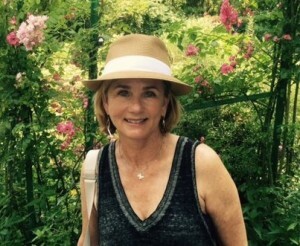 Dolores Eyler has an extensive background in feature reporting, including working on the Seattle Post Intelligencer, the Santa Monica Evening Outlook, The Oregon Journal, and the Rocky Mountain News. She also helped start a community newspaper in Winnetka, Illinois, and was the founding editor/publisher of The Rye Record in Rye, New York. Currently, she is a business trainer via role-playing for Performance Plus in the New York City metropolitan area. She also taught in the public schools in Rye, New York. Moving frequently due to family business opportunities, she has been an active volunteer in Santa Monica, Portland, Denver, the Chicago area, and New York. She currently volunteers with the New York State Prison System. Some of her past and present boards include Oregon National Public Radio, the Denver Art Museum Auxillary, the League of Women Voters, the Rye YMCA, the Posse Foundation, Operation Respect, Rye Arts Center, the Rye Library Auxillary, and the Presbyterian Church, as well as starting a community book club wherever she has lived. She is married and has three sons and three step-sons. She resides in Rye, NY and Stuart, Florida.